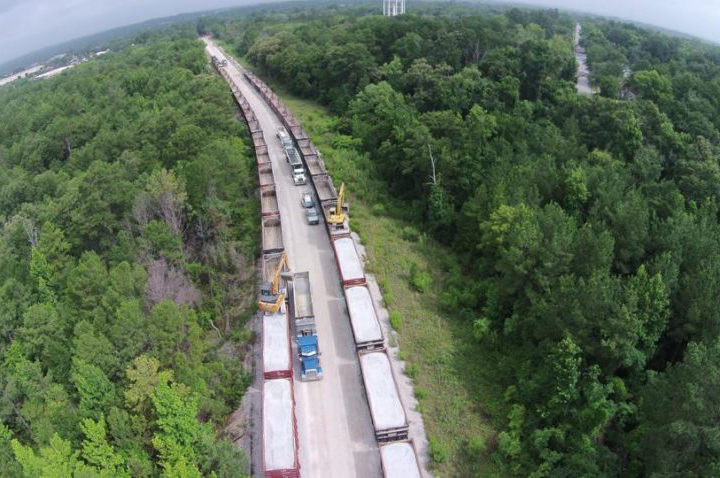 Superior unloading- from rail to road. Unloading is our business- you won’t find anyone with more experience or skill. 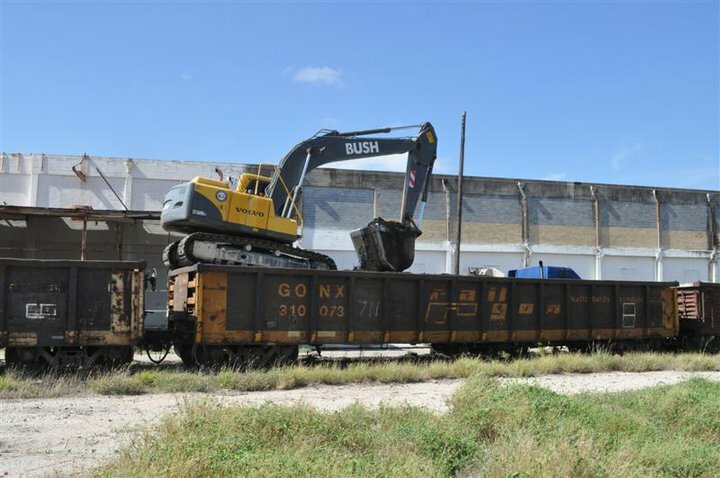 When your material shows up by rail, you need Bush Construction! 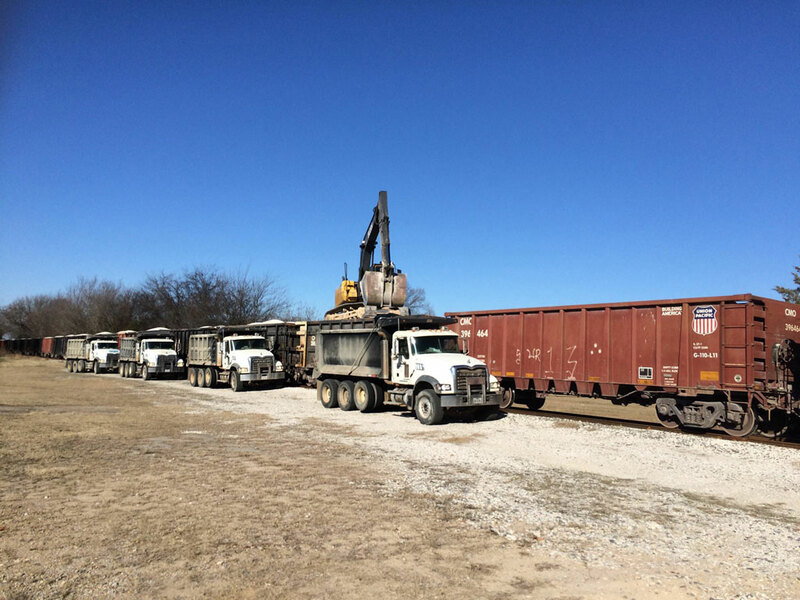 We unload rail gondolas into dump trucks, getting you all of the material you ordered quickly and efficiently. 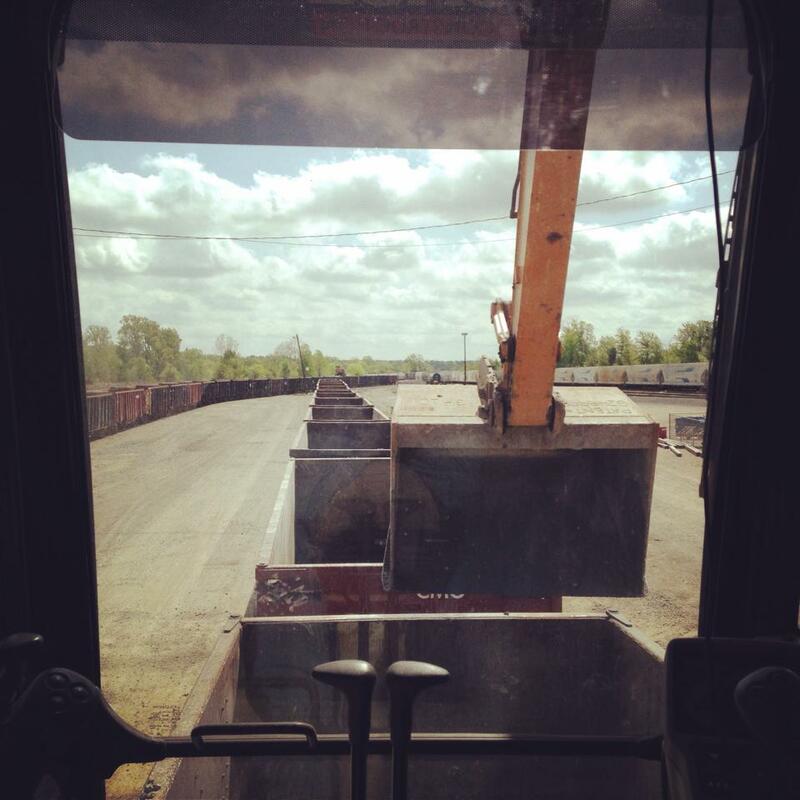 Our trackhoes climb on top of each rail car, thanks to a state-of-the-art ramp designed by David Bush himself. 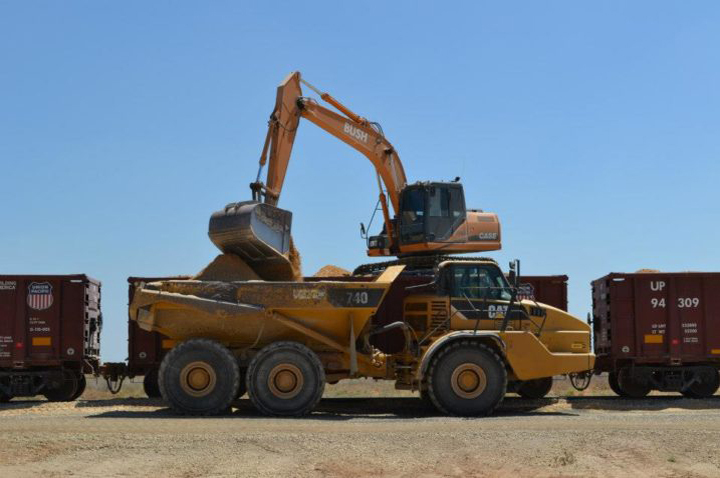 Once safely on top of the gondola, our experienced operators unload your material for quick and easy transport to your job site. 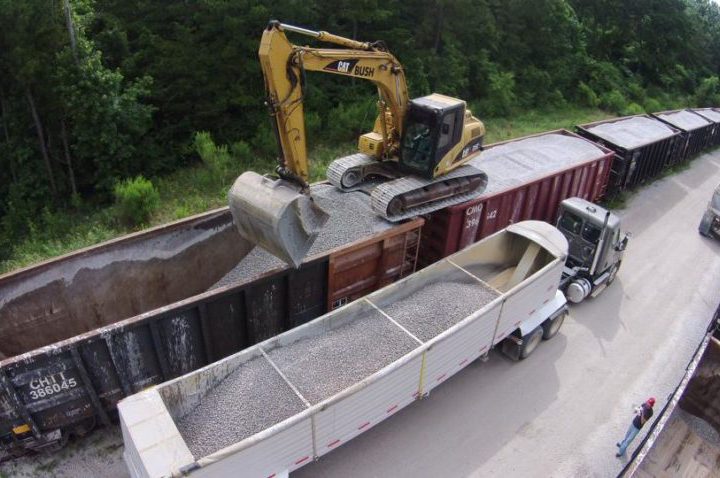 Join our growing list of satisfied customers like Martin Marietta Materials, East Texas Asphalt, Longview Asphalt, Cal Portland, and Oxbow Calcining. We serve clients in Arizona, Texas, Oklahoma and Louisiana. We know that timing and dependability are essential to your work. Our team will be sure that your supply is unloaded precisely, carefully and quickly. 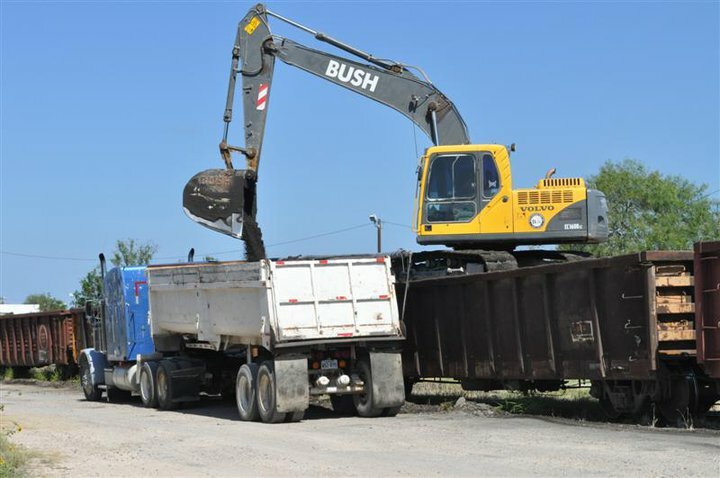 With over 50 years of experience in the business, Bush construction is the contractor you can depend on for superior unloading. Bush Construction, Inc. began operations as a family owned and operated company in 1993 in Gary, TX, founded by David E. Bush, who saw a need for gondola rail car unloading. 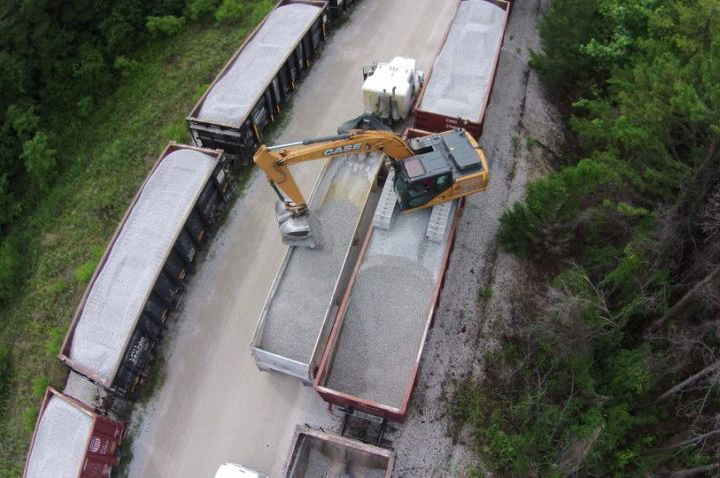 What started out as a small pipeline construction and maintenance company has grown into a three generation company that unloads unit trains of any size, consisting of open top gondola rail-cars which serves East Texas, South Texas, Louisiana, Oklahoma, and Arizona. 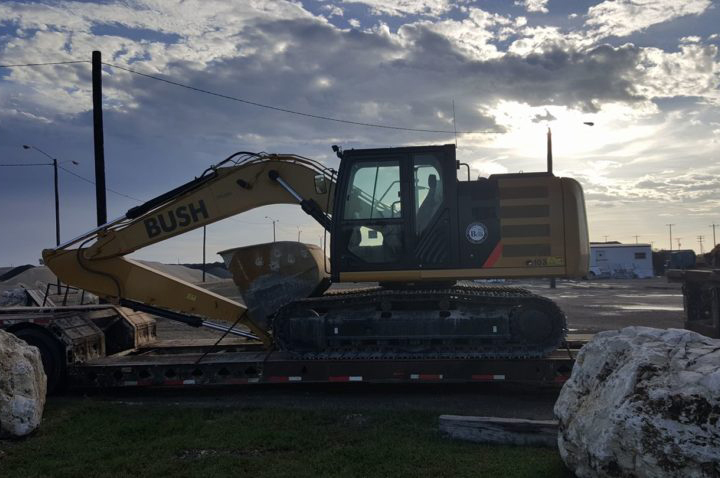 Bush Construction, Inc. prides itself on our late model unloading excavators, state of the art ramp system, and highly trained and skilled personnel which allows Bush to offer excellent customer satisfaction and competitive prices.